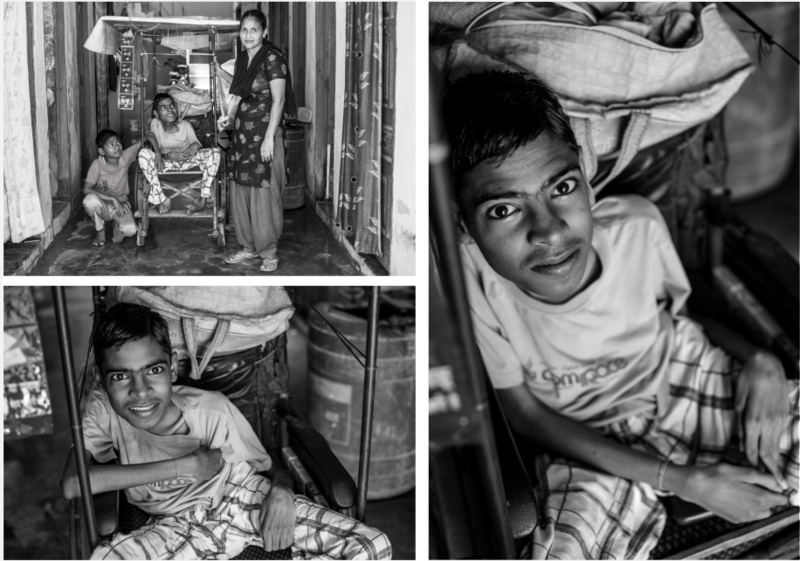 Umesh received his first wheelchair in 2016. Both he and his brother were born with muscular dystrophy. After he was born, his father deserted the family and his mother was left to fend for herself and her two boys. His brother died at the age of 3. Every day, Umesh’s mother would carry him to the street corner where he sold cigarettes, bidis and matchboxes. Now sitting on his wheelchair, which has doubled up as his ‘shop’, he says it has changed how his customers interact with him. They now look him in the eye and sometimes even have conversations with him before walking off. He's also happy that his mother doesn't have to carry him around anymore.